It’s Melbourne’s turn to take part in a truly iconic experience as Heineken Saturday makes its much anticipated return to Victoria. 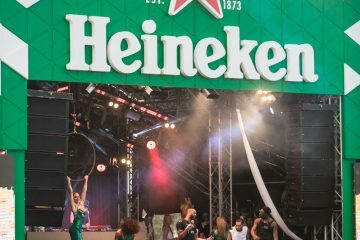 In partnership with Royal Croquet Club and its summer tour, Birrarung Marr will host the legendary Heineken event on Saturday, December 17, before it moves on to Perth, Adelaide and Brisbane. Melbourne locals are invited to join in the revelry that will include icy cold Heineken, beats, food and, of course, croquet as the perfect way to kick off the summer in style! Heineken Saturday will once again be at the very heart of the Royal Croquet Club pumping loud and proud throughout the day and is is an event not to be missed! Fans are encouraged to arrive early to bag a coveted spot with entertainment including singer songwriter and 2015 Aria award winner Jarryd James. The main acts will be supported throughout the day by a selection of the best local talent around. 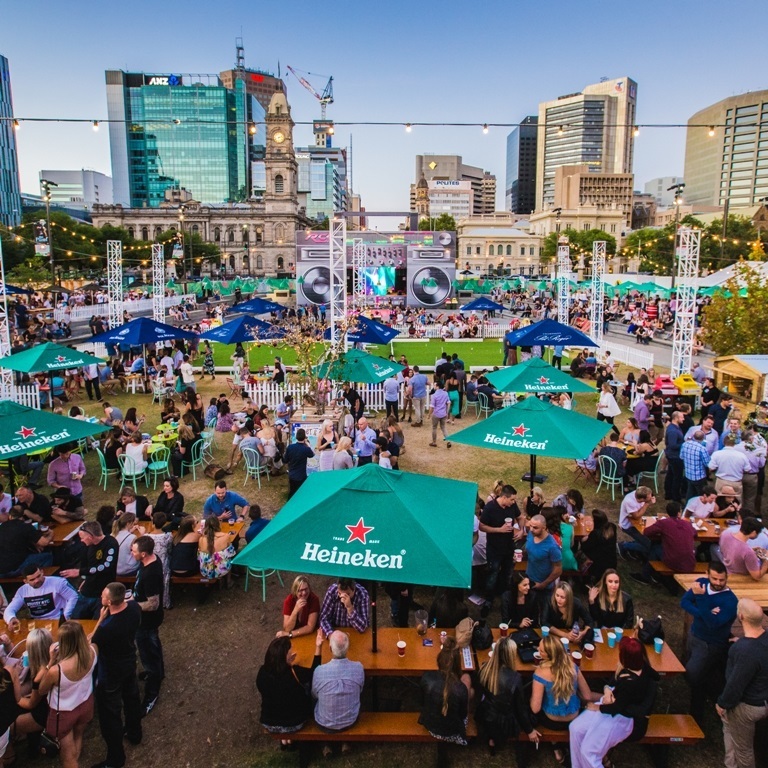 Heineken Saturday will continue on the road, with Royal Croquet Club’s summer tour, making its first ever appearances in Perth, Adelaide and Brisbane. The Heineken Saturday Australia tour dates include 28 January 2017 at Elizabeth Quay in Perth, 4 March 2017 at Pinky Flat in Adelaide and a spot in Brisbane that will be announced shortly. The team behind Fancy Hank’s have launched their much-anticipated new rooftop bar, Good Heavens, bringing us another place to add to our list of top places to visit this summer to soak in the sun and enjoy an 80’s inspired cocktail in Melbourne’s own Palm Springs style sanctuary. 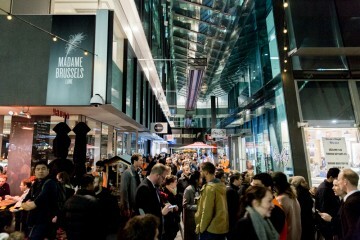 Located on level 2 on Bourke Street above Fancy Hanks, the venue has a wonderful range of cocktails including Poco Loco, Good Heavens’ take on the classic Pina Colada, the Big Pharma which uses Fitzroy rum slingers The Rum Diary’s house-made spiced rum, this is a twist on everyone’s favorite Friday night pharmaceutical stimulant (more commonly known as the Espresso Martini), and the Good Mai Tai. The bar snack menu, designed by venue partner and executive chef Mike Patrick, is a blend of Australian and American favourites and is a more casual take on Fancy Hank’s offering located on level 1 downstairs. 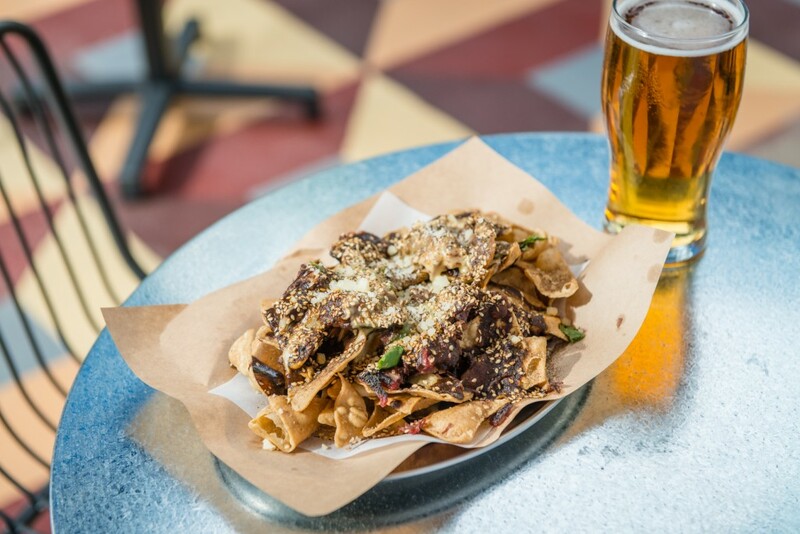 Hank’s cheeseburger and the Nachos with brisket mole and queso are sure to please, while Fried cauliflower with vegan ranch dressing and the Artichoke dip will satisfy the no-meat inclined. 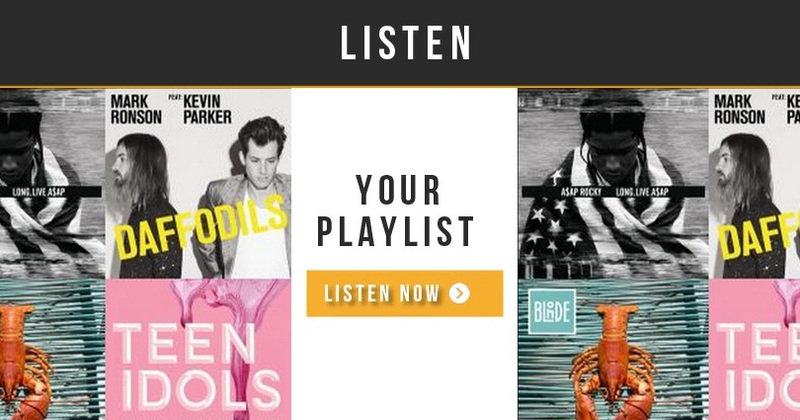 With DJs playing hot tracks on the weekend, Good Heavens should be on your Summer hit list. 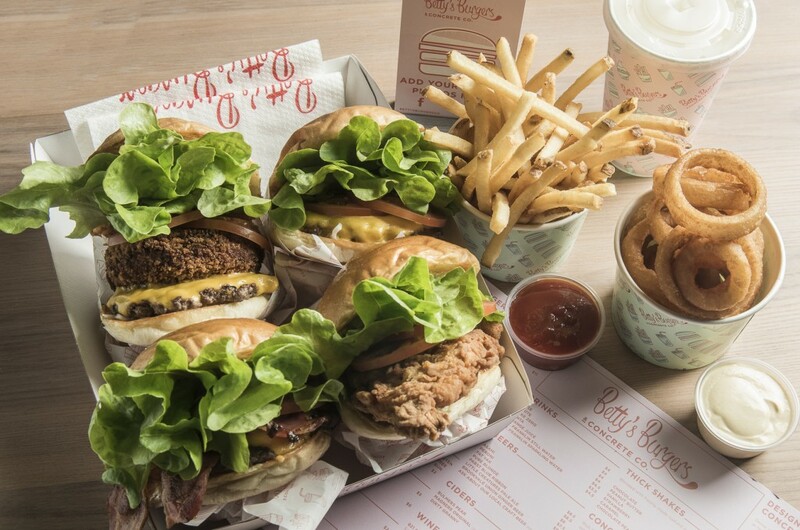 Award-winning Queensland burger-shack, Betty’s Burgers & Concrete Co., has just opened in Melbourne at 97 Elizabeth Street. Initially inspired by owner, David Hales’ grandmother, Betty Anderson, the flagship store was built on bustling Hastings Street in Noosa, with a second established quickly after in Surfers Paradise and a third on 2 November, at The Kitchens in Robina. The Melbourne addition will be Betty’s first foray out of Queensland and will serve its signature range of top quality burgers such as the Betty’s Classic and the more health-conscious Bare Betty, as well as their house-made frozen custard ice-creams, Concretes, with indulgent mix-ins such as chocolate-chip cookie dough and Persian fairy-floss. Thickshakes are genuinely dense and come in six flavours, including caramel, strawberry and a heavenly chocolate-peanut-butter flavour, which is filled with delightful chunks of the decadent spread. The Betty’s Burgers brand was brought to life by hospitality guru David Hales, who envisioned a product and service so consistent and tasty that every guest could be turned into a regular guest. Betty’s Burgers beef patties are hand made using the finest local grain fed cattle, which is selected because of its consistent marbling. Patties are intentionally pressed on the grill to create a thick crust and lock in their natural juices. “I can’t count the times we’ve considered how delicately the bun should be toasted, or debated the exact amount of times the beef should pass through the mincer,” adds Hales, for whom attention to detail is paramount. Briefed to ‘bring the beach to the city’, Paul Kelly Design has installed handmade floor tiles, custom imported Italian wall tiles, hand-painted shingles, and of course, a one of a kind custard machine. With a pastel-coloured design aesthetic that pays homage to the 1950’s, the restaurant is bound to stand out in the bustling CBD. Betty’s Burgers will be open from 10am til late, seven days a week.